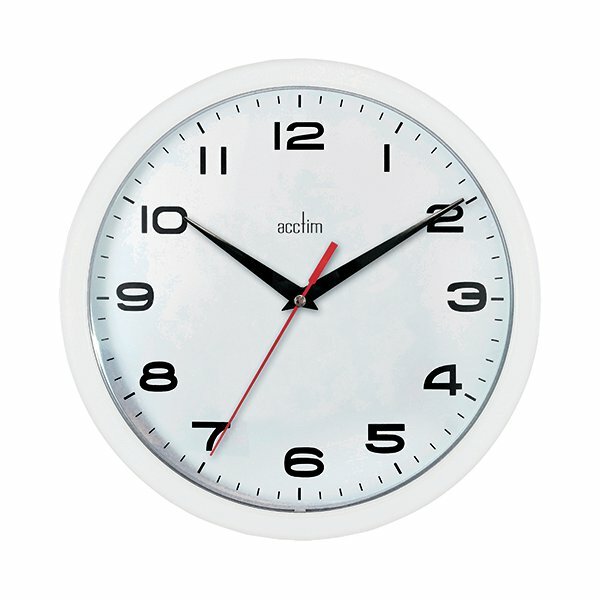 The Acctim Aylesbury Plastic Wall Clock is an economical wall clock with an eye-catching modern design. 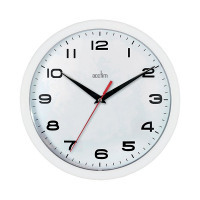 The bold modern typeface is easily legible against the white dial, as are the thick black hour and minute hands. A precision quartz movement helps ensure the best possible timekeeping. A sturdy plastic lens covers the 245mm dial and protects it from damage or tampering, while the bold plastic case provides a pleasing addition to your wall.